Agile is one of the most widely practiced software development methodology followed by organizations today. As a well-accepted methodology, self-organizing teams are encouraged to work in collaboration inside an efficient and effective management framework. However, the main attraction about Agile methodology is its commitment to on-time delivery of high quality and cost-effective software – factors that matter the most for stakeholders seeking the best solution in the market. There is no doubt about the fact that development methodologies of software products have become progressive over the recent years. Along with this progress, the need for evolution in software testing has also become an object of equal concern. That is because testing helps to optimize the entire software development work at every phase of the Rapid Software Development Cycle. It is therefore important that we understand the different techniques of test management and its application at every stage. This is the very first phase of a software development lifecycle based on which the development process begins. So as soon as the stakeholder makes a request for a software, the software development team comprising of developers, designers, managers, and testers gather to discuss and plan the basic architecture of the software that is to be developed. 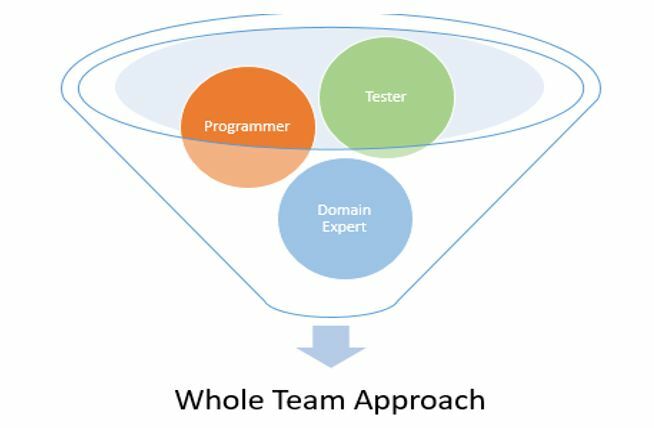 Both stakeholders and testers are considered part of this team. Role of a Tester: The QA testers perform an Initial Requirement Envisioning, where they create a basic set of Requirements that will help them to identify the scope of the project. Testers also set up a System Test Environment based on the requirements. The ultimate aim is to create a shippable software that can be delivered faster. That is why, in this phase, the team sorts out the requirements of the stakeholder first. This is done based on the level of priority of each requirement management. Once the requirements are sorted, the team then proceeds to the development work, followed by documentation of software deployment and production. Role of a Tester: In the construction phase, the role of the QA testers is to verify and validate whether the developed components meet the required expectations in each iteration. After the testing of the final system (including the final acceptance and pilot tests) is complete, the entire software system is then prepared for live production. Documentation work is done after which the new system is deployed for live production. Since the software system is operational at this stage, the systems procedures are taught to the end-users of the software. 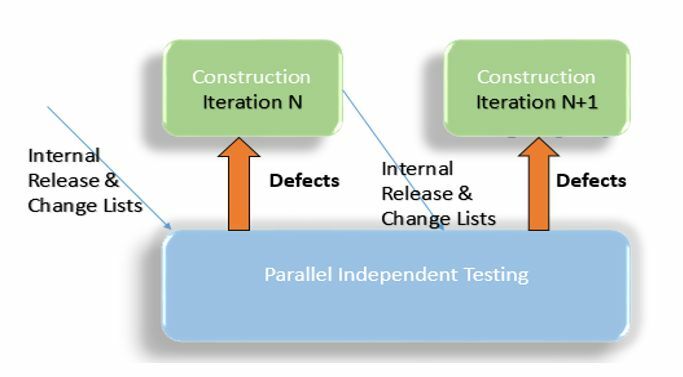 Role of a Tester: In the Transition stage, the QA testers perform a final testing of the software lifecycle to ensure that the new system functions properly before being released for production. As you can see, test management plays an important role in every phase of the production process. Does that mean testers have become more involved in software production today? Yes, they have. Every developed software component is now checked and validated before being passed over to the next step in the process. This makes it easy to identify the loopholes at an early stage and ensures software production is cost effective. The agile methodology makes this possible. A side-by-side comparison between Agile and traditional methods of software development can clearly identify the difference in the involvement of the testers and their contribution. A traditional method of software development does not follow the concept of active collaboration and involvement between team members. All communication is done via documentation. Every team member work in silos, specific to their roles. As a result, the issues of transparency and information flow between team members continue to remain. Traditional methods of software development do not encourage teamwork between the developers and testers. As a result, the architecture and design of a software are delivered as mere parts that ultimately leads to low-quality software production. In a traditional method of software production, the defects are addressed only during the second half of the production process. As a result the cost of production becomes higher. 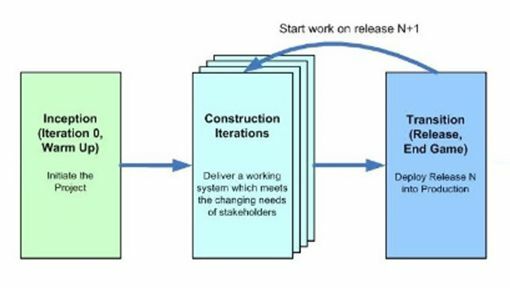 Repetitive Agile Quality Assurance Tests: Since the Agile method of construction involves activities that are repeated several times, tests should be a continuous process that will go hand-in-hand with the development work until the final deliverable is released. No Comprehensive List of Requirements: In an agile methodology, requirements are constantly developed, identified and evolved at every stage in the production process. Strategies for testing, therefore, need to be flexible in accordance with the nature of the requirements. Demand for Flexible Testing: Agile Quality Assurance testers should be flexible enough to take up the challenge of testing a new system at any stage of the development process. They should be aware that any requirement is subject to change at any time during the project timeframe. The best way to ensure the quality assurance of an Agile software development lifecycle is by understanding how the testing activities fit the Rapid Application Development methodology. Let us, therefore, try to understand the role of QA in optimizing the Agile Process of Software Development. All information related to requirements and architectural envisioning serve as a guideline to give a clear picture of the scope of work. Based on this, the QA testers begin defining and organizing the most effective techniques and methods that are then used for testing the requirements and the software architecture. In due course, they can raise questions and concerns to gain clarity of the acceptance criteria. An Agile ‘Whole Team’ strategy aims to bring the right people with the right skill and the right perspective together. The team will, therefore, comprise of people who are skilled in designing and programming of software systems, performing system analysis, and testing the viability of a new system. This is considered as one of the best practices for QA testers, as testing techniques are agreed upon at every stage of the development process. In addition, it makes the development process time and cost-effective. The concept of an ‘Independent Test Team Approach’ came into existence as an answer to the needs of complex development systems. As an independent team, QA testers contribute to the development process by checking the integrity issues of newly built software systems. When a project is identified, either QA testers are assigned to an existing test environment or they need to create a brand new test environment. A test environment ensures good work. While setting up a test environment, testers use the best of the breed software that is easily available in the market. The software is then combined with other testing tools to conducts tests like security, usability, and integration testing. A shared platform enables both the development team and the independent testing teams to share the necessary defects. Apart from that, sometimes, Virtualization also allows Agile teams to create a test environment on to a hardware. Once a system is built, the next step is to conduct tests. Regression test suites are run either manually or through automation. This is necessary in order to ensure that newly built systems work in accordance with the specification and the expectation. QA testers ensure that the right test suites are utilized for regression testing. Choosing the right test suite is as important as conducting tests on a daily basis. It is also the responsibility of the QA testers to update them regularly and make sure all test suites are performing with 100% functionality. The development and the independent testing teams work in parallel to ensure stable delivery of a new software system. The primary focus of an independent test team is to ensure the security of integrity issues that may have passed unnoticed during regular tests, conducted by the development team. Investigative Testing ensures that the non-functional requirements in a new system (such as security, performance, usability) are checked properly. A Production Readiness Testing is done on all the systems that are delivered to production and to the stakeholders. This is done to ensure that the systems work together properly. The system has to go through a final quality check. It is often a part of the contract agreed upon by the stakeholders during the onset of a software development process. The final lifecycle testing gives clients the confidence in the development process as well as the final product. Modern QA Engineers are expected to understand how to read and write code, run automated tests and if required, deploy builds and stand up environments rather than giving so much value on Requirement Management, specifications or documentation. Being part of the ‘whole team’ and being constantly exposed to procedures at every stage of the production process, Agile testers develop the ability to understand the language of the system design and architecture. They also engage in ‘value-added’ activities like conducting tests on a regular basis and providing the result immediately to the Agile development team. As a result, defects are addressed faster in a new system and development cycles become rapid. Chitra Lakshmi is Sr. Software Engineer of the QA team here at Kovair. 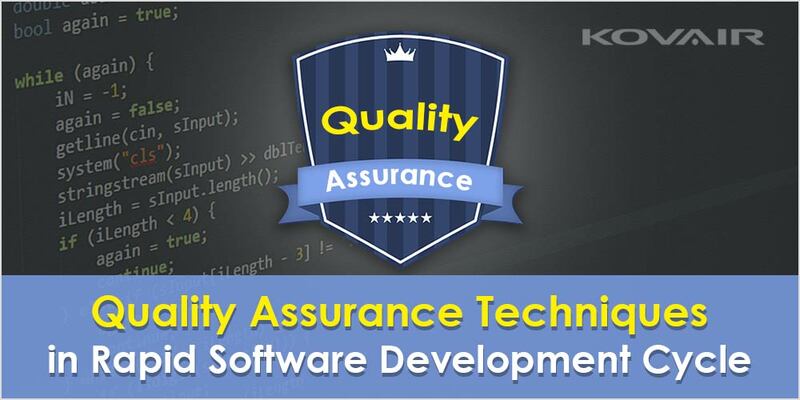 She takes care of the quality and stability of various Kovair products and Automation testing framework for clients. You shared the information about the software development cycle is really nice and very beneficial for me. I found your website just right for my needs. Thanks for sharing the great information. Good Luck! software testing life cycle is explained very clearly, this all valuable information about software testing is more useful for freshers or software tester beginners. Keep sharing. Reading to your blog I got to learn about the quality assurance for software development. I want to learn about the differences between STLC and SDLC. Can you please explain this. Informative post regarding life-cycle of QA in software development. Useful information. Great article, keep up the great work. Useful information. Software development is really hard work. You share the techniques is really awesome and helpful. Great blog. Thanks for sharing valuable information. Software follow a set up of a rule to make a good software. I have found a good tip that I never found on other websites. This is a great blog and very important for Agile Teams to read and understand. The success of an Agile approach (and team) depends heavily upon teaming software tools – not only for keeping track of sprints and backlogs, but for keeping the entire team informed and involved. I have seen failures occur while implementing Agile because the only focus is the development team. The data and the business is left out of the equation with disastrous results. However, when a good teaming tool in set up for each project to include everyone involved, there are no surprise or emergency data requests or requests for business input. Everyone knows how much time and effort they will be required to allocate which is a critical component. Great article and processes – thanks for sharing. Nice information about lifecycle of QA in software development. While testing a software application, testers have to focus on various types of tests to ensure that the software meets all business requirements. Thanks. Yes, understanding the role of QA at every stage of a basic Agile Lifecycle is important and all this is absolutely important as mentioned in the blog. This is a great blog.